A docent is a volunteer museum educator who engages visitors in interactive discussions about art. Docents welcome thousands of visitors every year from communities in the surrounding area and countries around the world. They lead tours for preK to grade 12 students, college students, adults, and families. Docents are valued as teachers and work collaboratively with the Education Department. Docents at the Wadsworth Atheneum Museum of Art are part of the Docent Council. Formed in 1968, the council governs and supports the approximately 70 current docents. The council fosters a sense of community through annual social events and trips to art museums in the surrounding area and beyond. 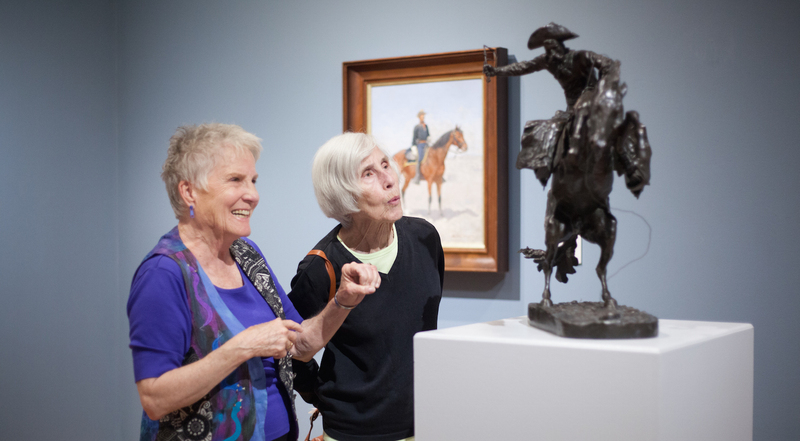 As members of the council, docents can take advantage of learning opportunities organized by state and national docent organizations. We are looking for people who are enthusiastic about art, enjoy working with people of all ages and backgrounds, and love learning and teaching. No art history knowledge or teaching experience is required. 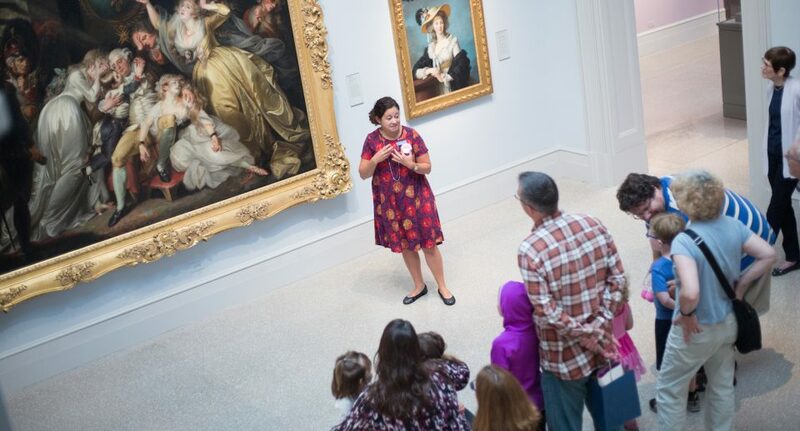 What are the steps to becoming a docent? First, fill out and send in a Docent Application Form. You will be contacted in April/May 2019 about coming in for an interview. If you are accepted, you will become a docent-in-training. Docents-in-training complete a year-long course on teaching and touring techniques, art history, and the museum’s collection. The next class will meet from 5:30-8:00 on Monday nights from September 2019-May/June 2020. 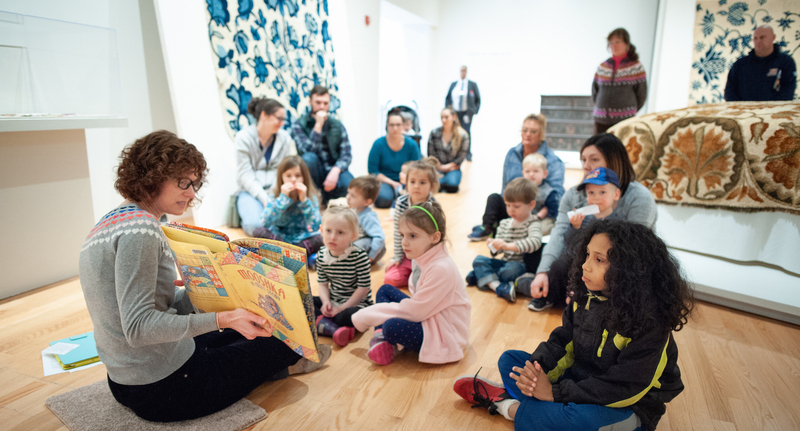 Weekly assignments include readings and self-guided activities in the museum’s galleries. After successfully completing this course, docents-in-training are then mentored by an experienced docent for about three to six months and join the docents for ongoing training. Docents-in-training do a final tour with their mentor before graduating and are expected to commit to being a docent for at least two years. 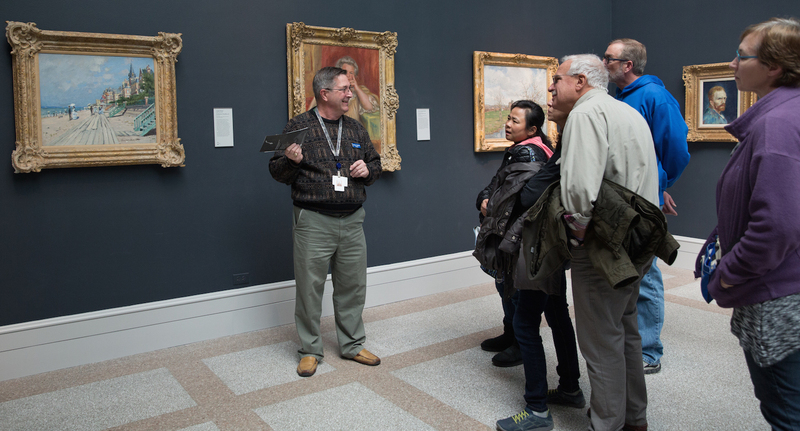 Every docent, regardless of years of experience, is evaluated by both peer and education staff evaluators regularly to foster continued growth. What is the time commitment for docents? Every year docents attend required training sessions on the museum’s collection, new exhibitions, and gallery teaching strategies. Trainings are scheduled two times a month from September through May (excluding December). Docents can attend training on Monday mornings or Tuesday evenings. A “full-time” docent tours regularly on one of the weekdays that the museum is open (Wednesday, Thursday, or Friday). She/he is assigned up to two tours on that day from mid-September to mid-June. A docent who works 20 hours or more outside the home can be a “part-time” docent. She/he commits to doing 24 tours per year and can choose to tour either during the week or on weekends and evenings. To apply to the docent program, complete the Docent Application Form. We accept applications on an ongoing basis. When is the next docent-in-training class? The next docent class is scheduled to begin in September 2019. We are currently accepting applications and will begin scheduling interviews in April/May 2019. Send an email to Angela Parker, Docent and Tour Programs Manager.